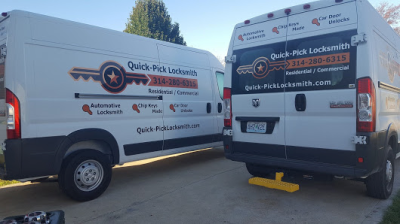 Quick-Pick Locksmith is committed to providing professional locksmith services in most of Eastern and Central Missouri. 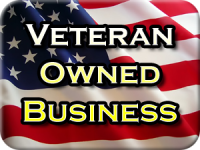 Our lead locksmith, Ray, is a military veteran and prior police officer with many years of locksmithing experience. Ray works hard every day to ensure that you get the locksmith services that you need, when you need them, at a fair and reasonable price. Ray has also been background checked for your security as a part of the AAA approved locksmith process. Some of the cities we often do work in include St. Louis, St. Charles, O'Fallon, Wentzville, Warrenton, and Troy, Missouri. But our service area extends out to cover as far north as Hannibal, as far east as Jonesburg, and as far south as Washington, Missouri. If you're not sure if we will come to your area, just give us a call. We offer many locksmith services, nearly too many to list, so if you don't see what you need on the list, give us a call and we will let you know if it's something we can do. Our locksmith, Ray, can be reached at 314-280-6315. Yes, you saw this right - you'll speak to the actual locksmith when you call - not a call center dispatcher. If after reading all of this, you still decide to call someone else, we have a bit of advice - watch out for locksmith scams. Locksmith scam companies are rampant in the Greater St. Louis area. One thing to look for includes the offer of a really low price in comparison with other locksmith companies. This is a method the scam companies use to get you to let them do the work, but when the work is done, they will hold your keys hostage while demanding a large sum of money for the work. Check the BBB for accreditation and ratings, and more importantly look for Google or Facebook reviews from past customers. If the company isn't even local - its probably a scam. We hope to hear from you when you need a locksmith. Call us any time of day or night for a free quote, for emergency service, or to schedule an appointment at 314-280-6315. Commited to providing friendly, affordable, quality locksmith services to every single one of our customers in all of the St. Charles, Missouri area and beyond!